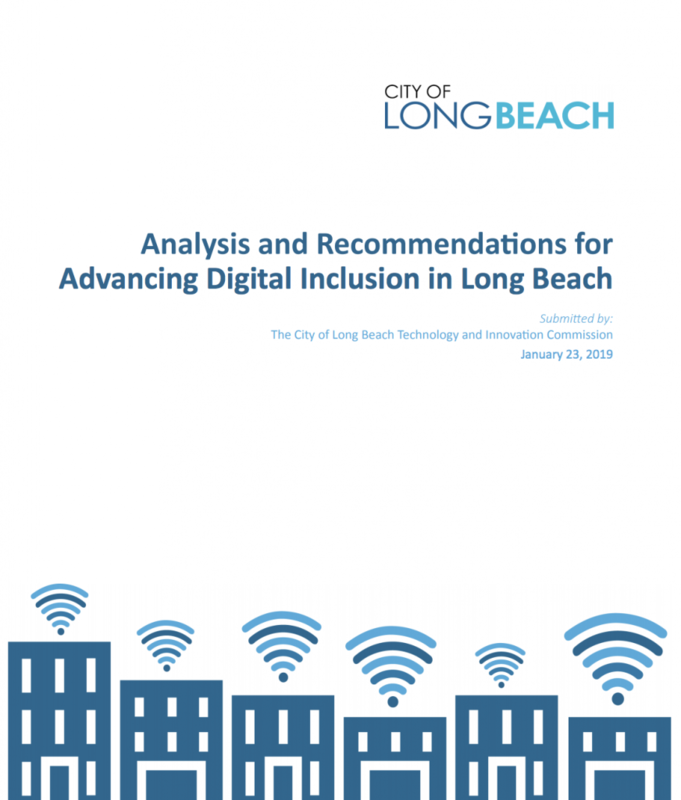 ARNIC recently contributed to a report spearheaded by the City of Long Beach Technology and Innovation Commission that provided an analysis and recommendations for advancing digital inclusion in Long Beach. U.S. Census data reveal that 28 percent of Long Beach households lack broadband from an internet service provider, and about 8 percent of this population rely on their smartphones to connect to the internet, showing the great need for further research on this topic. Released in January 2019, the report explored the city of Long Beach’s approach to improving the digital divide by examining core social, political and market shifts and presenting recommendations based on data from a city-wide survey and multiple focus group discussions. Coverage is shrinking where fewer Los Angeles residents are served by broadband. The number of internet service providers remains unchanged, but more are offering higher-speed services. The benefits of competition are bypassing low-income areas and Latino households. Fiber investments in L.A. County have stalled. However, the report notes that the number of Long Beach residences served by broadband is higher than Los Angeles County as a whole, according to ARNIC’s preliminary findings. Gwen Shaffer—associate professor in the Department of Journalism and Public Relations at California State University Long Beach and lead on this report—presented on this project during ARNIC’s lunchtime seminar on April 8. Thank you to Dr. Shaffer and to the City of Long Beach Technology and Innovation Commission for partnering with us to forward this important cause.